The UK’s largest wine specialist retailer is launching a ‘Tasting Club’, which they are billing as “A personalised events programme for 50,000 customers.” Following their takeover of Naked Wines, and announcement that boss of Rowan Gormley would become group CEO, the move forms part of the retailer’s ‘Transformation Plan’, designed to encourage customers to grow their love of wine. The Tasting Club is a suite of four events, which will be delivered by store teams in stores across the UK. There’s a charge for most events, but it is fully redeemable against purchases. For more information and to see what’s planned in your nearest store, see majestic.co.uk/thetastingclub. 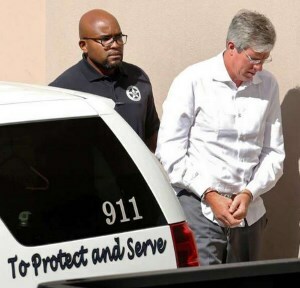 A surprising story from San Francisco has emerged, with head of wine investment group ‘Terroir Capital’, Charles Banks, being indicted on charges of fraud following allegations made by ex-NBA star Tim Duncan, who claims he has been defrauded of millions of dollars through investments made by Banks on his behalf. The big surprise is that Banks is the ex-owner of Screaming Eagle, one of the world’s most expensive wines, and currently controls wineries across the globe including Maycamas and Qupe in California, Mulderbosch and Fable in South Africa and Trinity Hill in New Zealand. Banks stands accused of persuading Duncan to part with $7.5 million, Duncan’s law suit claiming “Banks encouraged, promoted, hustled and advised Duncan to invest in several wineries and investment funds that he controls. Banks has used these wineries and funds to secure substantial income for himself, but they have yet to return much, if anything, to Duncan.” Photo courtesy SFgate. Champagne Roederer does not release many new cuvées. When they launched a limited production zero dosage cuvée in 2006 it was the first since Cristal Rosé in 1974. Now, a second edition of the zero dosage has been released, from the 2009 vintage. Described as having a a demi-mousse, the wine was aged for five years with a further six months post disgorgement. It is made up of approximately 1/3 Chardonnay, and 2/3 Pinot Noir and Pinot Meunier, with 25% of the wine vinified in oak casks, and no malolactic fermentation. As with the 2006, the label and packaging has been designed by Philippe Starck, and Roederer’s press release says his “activity stretches beyond the packaging, involving him in every step of the process,” which is intriguing but not explained further. The wine will be available in the UK later this month. Port producer Graham’s has launched its Premium Tawny range in innovative 20cl bottles (also available in 75cl and giant 450cl bottles). 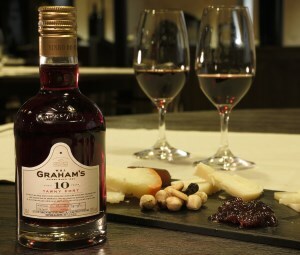 Graham’s Tawny Ports 10, 20 and 30 Years Old will be available in the 20cl size, aimed at a “growing audience of consumers of Premium Port,” and meant to make the wines more accessible to those wishing to try the aged tawny style, which Graham’s says is the fastest growing category of Port, constituting over half (53%) of all Premium Port sales by value. The range is 10 Year Old at £7.49, 20 Year Old at £11.99 and 30 Year Old at £19.49, from stockists including Harvey Nichols, Harrods and Vintage Wine & Port. It’s always heartening to hear about potentially positive findings on alcohol consumption. A paper published in Age & Ageing, the scientific journal of The British Geriatrics Society, expands upon earlier research that moderate alcohol consumption is associated with lower levels of inflammation, and explores the potential for decreased risk for age-related conditions such as cardiovascular disease and frailty. The editorial highlights the statistical correlation between moderate alcohol consumption and downregulation of C-reactive protein, an important biomarker of inflammation used in clinical practice. Ageing is associated with progressively higher levels inflammation and evidence has shown that individuals with raised levels of C-reactive protein are at higher risk for developing many age-related medical conditions including frailty, poor physical performance and low muscle strength. Inflammation is also a well-documented independent risk factor for cardiovascular disease. Using data from a study of over 26,000 participants, researchers found that individuals who drank 5 to 14.9 grams of alcohol per day, which roughly equates to a bottle of beer or small glass of wine, had a significantly lower risk of cardiovascular disease compared to those who abstained from alcohol or drank 15 grams of alcohol per day or more. Markers of inflammation were 21% lower in moderate alcohol users compared to abstainers. Pic courtesy The Conversation. Wine can be such a high value, ‘investment grade’ asset that unsurprisingly it attracts its fair share of fraudsters. 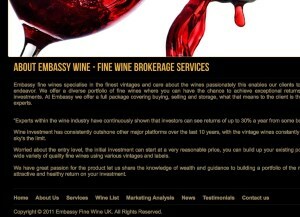 Latest to be shut down and its owner convicted is Embassy Wine (UK) Ltd, sole director Mr Jonathan Piper, who was sentenced to five and a half years imprisonment having conned an estimated £300,000 out of would be investors in fine wine, with one victim handing over £150,000 in life savings. The crown insolvency service stated that “The company also took in substantial deposits from customers, on the false basis that those deposits were required to lodge wines in bonded warehouses or upfront fees in order to sell on wine portfolios. No deposits and no upfront fees had been returned to any known customers.” In a number of instances customers, including a 94 year old victim at the time of his dealings with the company, had paid over sums of over £30,000 to the company. 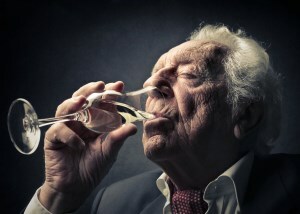 Writer Jim Budd runs an eagle-eyed web site to spot and report on wine fraud at investdrinks.org.